An enthusiastic fresher? An experienced professional? Someone in between? Irrespective of where your career graph stands if you are good at what you and love doing it too, then we’d love to meet you. At Accely, our employees are amongst the very best in their fields. We believe talent is never typical, which is why there is no typical Accely employee. 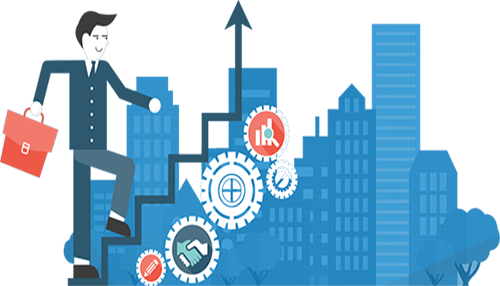 If you have a talent, you will find Accely a platform that will allow you to hone that talent and utilize it maximally towards initiatives that are beneficial to the business and satisfying for you. Learn, grow, explore – Accely allows you to do all that you envision doing in your ideal job. Imagine searching for a job for the last time. Imagine giving your last interview. Imagine getting a job you will keep for life. We at Accely acknowledge the greatest source of our power; our People. We work countless hours to be in tune with the industry’s latest trends, shifts, tips and tricks, only to make your career and job flow easier and more fruitful. At Accely, your involvement never goes by unnoticed. You will always be acknowledged and rewarded for Your contribution. The work atmosphere at Accely will automatically instill in your efficiency and effectiveness, hence helping you grow as a professional, and also as a person. So why join Accely? Because when you become an Accely employee, you get all that you ever wanted from your dream job – immense scope for growth, constant innovation, learning oriented atmosphere and fairness. You wouldn’t want to leave. There are no defining boundaries within Accely. Every department is seamlessly intertwined with another. You’ll get to explore your talents, your liking and interests. Exploring is not merely an activity, it’s a quest to find something new, to go deeper and discover things you didn’t previously know about. That is the kind of creativity and exploratory freedom you can expect at Accely. Innovation forms the basis of Accely’s work culture. There is no better driver for growth than innovation and nothing else can give you better satisfaction – if you are an innovator, an out-of—the-box thinker, we want you. Interesting people and novel experiences are integral parts of Accely’s work place. Socialize with the best and the brightest, interact with the minds that make things happen and learn from those that DO – all at Accely. At Accely, you can only get better. With the enormous learning opportunities present within the organization, there is always scope for growth and improvement. The best professionals, the perfect graduates, the experienced experts only get better when they grace the desks of Accely. Every individual is unique and has unique aspirations and interests. We recognize, accept and in fact welcome this kind of individual diversity. At Accely, you’ll get jobs that will resonate with your talent and interest to ensure that you enjoy what you do.